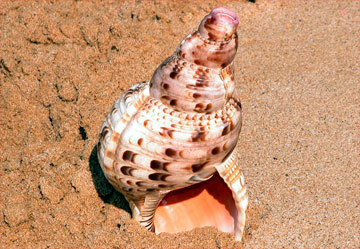 Pū, pronounced 'poo' is the Hawaiian Name for Conch Shell. A gift from the Ocean, the Pū comes out of the life giving waters with a sound that flows across the 'Aina ( land ). The blowing of the Pu, a deep part of the Hawaiian culture, has multiple uses and communicates various meanings in both Religious and secular traditions. Blowing the Pū is sometimes used before a ceremony to mark the official beginning. To blow the Pū is a call to the divine. The blowing of the Pū should always be accompanied by protocol. When it's blown, how many times and in which directions all have a complex set of meanings. The meanings of the number of blows are so sacred that we do not reveal them in print. Rather we share them with you in your Sacred Ceremony. 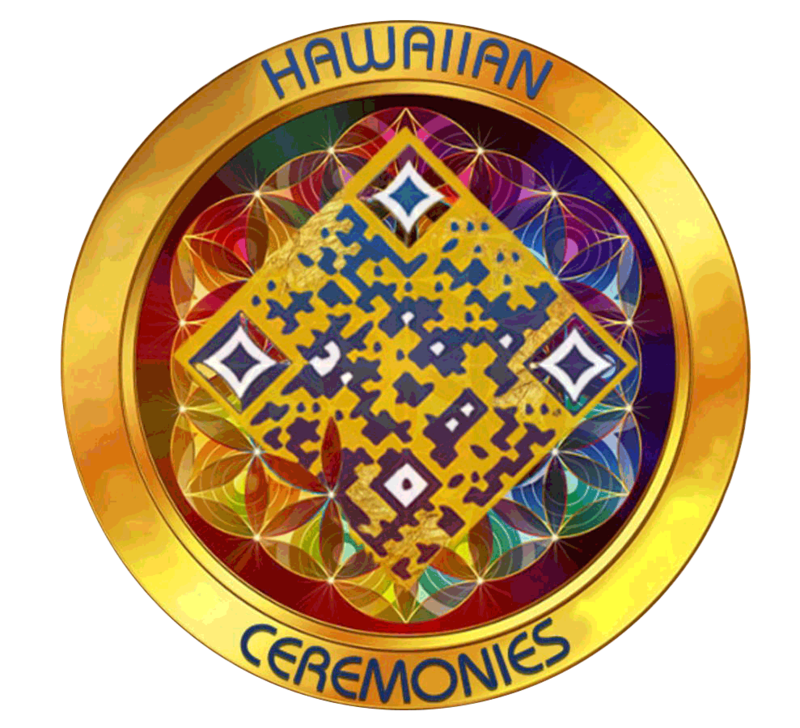 The blows in ceremony symbolize the journey of the Ancient Hawaiians as well as your own journey in that Eternal moment. So many Hawaiians it also symbolizes the first 4 Hawaiian male Gods. In ancient times the blowing of the Pū was used to communicate across the waters between people on canoes and those on land. Sometimes it would be used to request permission to come to the shore and step foot upon the land. Permission or denial would then be returned from those on shore by them blowing the conch shell back with a certain number of blows. Permission to land avoided possible death, making the Pū a vital instrument. In modern days some blow the Pū to say Goodbye at sunset to end the day and to say Mahalo (thanks). A person once asked Rev. 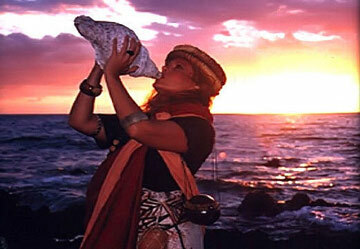 Alalani, “how do you always blow the conch shell pure and right every time”? She replied, ”because I let God blow through me.” “I blow for the cause and to open the Heavens to come and Bless I give thanks. I do not blow the Pū alone”. Rev. Alalani said if you blow the conch shell wrong it could bring disharmonious energy; “If you blow pure and clear then it invokes goodness and is therefore respectful to the Hawaiian and Polynesian cultures.” She said we must always be respectful.